PA chairman expressed sorrow over death of Israeli leftist activist Uri Avnery, who had met Yasser Arafat in the 1980s. 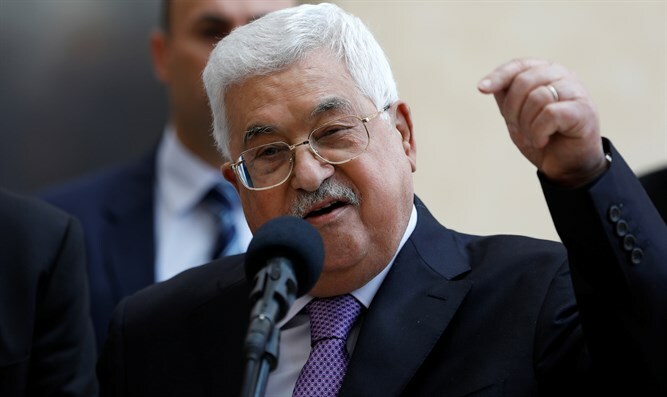 Palestinian Authority (PA) chairman Mahmoud Abbas on Monday expressed sorrow over the death of Israeli leftist activist Uri Avnery, who died at the age of 94. Avnery, who passed away after suffering a stroke earlier this month, was renowned for being one of the first Israelis to meet with former Palestine Liberation Organization (PLO) leader Yasser Arafat. Abbas called Israeli journalist Anat Saragosti, a very close associate of Avnery, to express his sorrow over his passing, according to the PA official news agency Wafa. Avnery was a member of the Irgun before serving as a Knesset member from 1965-74 and again from 1979-81. He was the owner of Haolam Hazeh, a left-wing Israeli magazine, from 1950 until it shut down in 1993. Avnery is notorious for crossing enemy lines to meet with Arafat in 1982 during the Siege of Beirut. He authored several books on the Arab-Israeli conflict and campaigned for a Palestinian state. Avnery's pro-Arab activism caused him to be disowned by his own mother, Hilda Ostermann, who regarded him as a traitor. "I do not leave a penny to my son Uri, who instead of taking care of me went off to visit that murderer Yasser Arafat," she famously wrote in her will. Earlier on Monday, President Reuven Rivlin came under fire after he eulogized Avnery. Rivlin had tweeted that "we had strong differences of opinion, but they were dwarfed by the desire to build a free and strong society here. May his memory be blessed." The President added that "in the days of the struggle for the freedom of Israel, Uri Avnery fought in the ranks of the Irgun and adopted the challenge of his special status as an eternal opportunist. Avnery advocated Jabotinsky's words, ‘Silence is slime,’ and his struggle for state recognition of Irgun fighters and his wars for freedom of expression paved the way for Israel as a young state." Rivlin's remarks lauding the controversial activist raised eyebrows, who questioned whether it was proper for the president to praise a man who once called IDF soldiers "murderers in uniform".